The National Weather Service office in Fort Worth reports Monday EF-3 damage has been found in northern Ellis County. 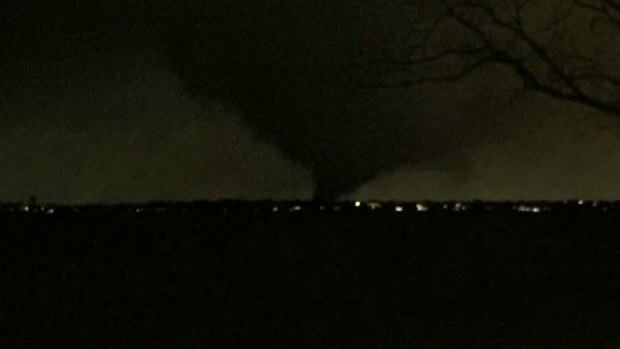 The NWS made the announcement Monday morning, saying the latest finding brings the total number of tornadoes recorded on Dec. 26 to nine. The yearly total for 2015 is now at 73, which ties 1994 for the most in one year since 1950. The EF-3 damage was found in a residential area near County Road 1387 and Bob White Road east of Midlothian, NWS officials said. They are not yet sure if the damage found Monday is part of the same path as the Ovilla tornado. NWS crews are still evaluating the path of that storm. Ellis County Emergency Management Agency previously reported about 40 homes were damaged or destroyed in the area. Two people were transported to hospitals with injuries that were not life threatening and several others were treated on the street for minor injuries, officials said. 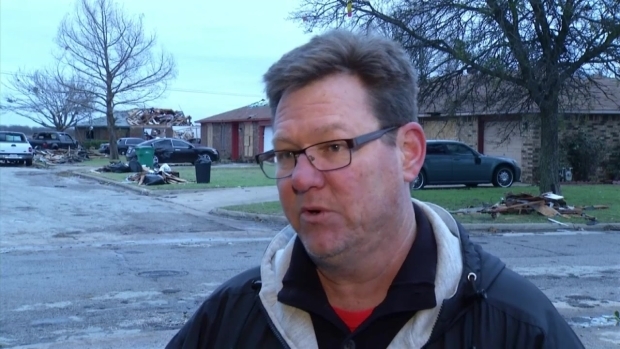 Mark Fox, warning and coordination meteorologist for the National Weather Service, describes the tornado damage in northern Ellis County. At least 30 homes were estimated to be damaged near Farm-to-Market Road 664 near Ovilla. Red Oak Independent School District officials said Donald T. Shields Elementary was damaged during the storm. No other campuses were affected, and no one was injured. Damage estimates have not yet been provided. NBC 5 and Kroger are teaming up to get help to the victims of the deadly tornadoes that tore through North Texas on Dec. 26. Spare change will be collected in boxes at the check-out registers at every DFW-area Kroger grocery store. All of the money will go to the Red Cross Disaster Relief Fund.